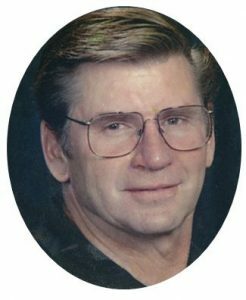 Tom Knauer, Avalon, Wisc., will be inducted into the Wisconsin State Fair Hall of Fame on Sunday, August 5, 2018, at approximately 1:00 p.m., in the Swine Barn at the Wisconsin State Fair, in West Allis. The award presentation will take place prior to the Supreme Champion Drive that afternoon. Each year, Wisconsin Pork Association (WPA) recognizes an outstanding individual who has demonstrated a long time commitment to the Wisconsin State Fair in the open or junior shows, and to developing a quality breeding program, by inducting them into the Hall of Fame. Tom is a long-time, successful breeder of high quality Landrace hogs. He has been a consistent exhibitor at the Wisconsin State Fair and has had multiple champions over the years. Tom is a strong advocate for the Wisconsin pork industry and is involved in several organizations supporting agriculture, including serving on the WPA board of directors. Tom and his wife, Marge, have three children: Gary (Crystal), Mark (Nikki), and Sarah (Chris). The Wisconsin Pork Association’s mission is to ensure the future success of the Wisconsin pork industry. WPA represents the interests of the pork industry members with a strong emphasis on social issues, public and government policies, environment, animal welfare and safety.